i know samsung pay is introduced last year and samsung pay is introduced in sg during the s7 delights. 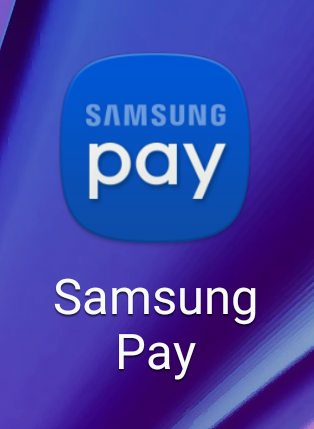 can i ask that anyone tried samsung pay yet? as in payments for real purchases. thanks. which bank already accepted or in terms with samsung pay? Bro... Samsung Pay not launched here yet lah... how to give user experience??? i think its possible since some of us does not use the normal ezlink cards to pay for transport fares. ezlink function is already incorporated into our credit and debit cards. It's coming soon. MM for my Note 5 has the Samsung Pay app pre-installed. Now awaiting official launch in SG. What's the main difference between samsungpay and applepay ? Apple Pay only supports Amex cards only. In Singapore, many merchants don't support Amex Card only Visa and Mastercard. Apple Pay also needs the merchant to upgrade to the latest terminal that supports Apple Pay because Apple locks their nfc. Samsung Pay has more supports. Samsung Pay accepts Visa and Mastercard from DBS, OCBC, StanChart. Most existing terminals can work. Merchants dun need to upgrade their terminal. UOB did not join in because they have their on UOB Mighty Pay. Last edited by seller4; 27-04-2016 at 12:07 AM..
apple pay gonna have support for dbs/posb/uob/sc/vista/mastercard. american companies support each other? LOL. Guys I think that every of you will fully agree with me that in the issue of money is very important not only the right investment but also its reliable and proven savings! Exactly therefore I would like to share my favorite payment system worldcore with all of you, which will please all its users with the high quality service and own perfection! Presented payment service has a good reputation and will certainly meet all your best expectations. Don’t linger and use this perfect chance with benefit for you! In addition I wish to everybody large good luck and great stable income! overview of apple pay and samsung pay in singapore.